I just went around and around on coilovers as well and ended up ordering KW V1's. I only hear great things about the AH/Rotiforms but I only plan to run Euro RS ride height, so thought they would be over kill for me. KW V1's sound like a great street setup, and the stainless bodies sold me. Only planning on running 18x8, 18x10 Works on it, so not as aggressive as you either though. Put some Pole Positions in mine last fall too. I went with XL's and even being a slim guy (6'-2" - 175lbs) they are snug on me. I plan on getting them reupholstered to add some more lumbar padding to make them a little more comfortable for me. Looking forward to seeing how yours turns out. Everything you have done so far had been very nice. ended up going with PSS10s. they are being installed right now, with a few other odds and ends that needed replacing/updating. wheels are still waiting on parts to show up. just for fun i went through the bills so far. engine rebuild was so major, i never really touched on all the work that was done. 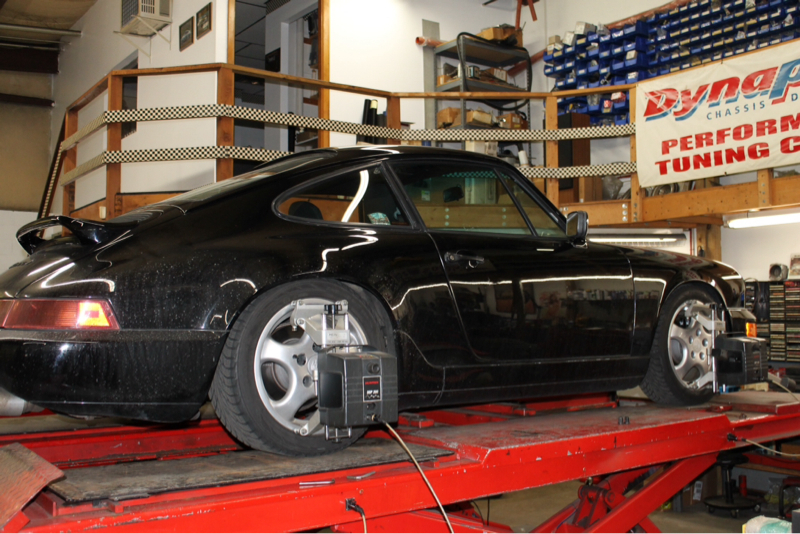 23k in parts alone, actually more when you add in the fabspeed header muffler kit, intake and tune package. truly a brand new motor. oh, and the 6 heads i had to buy to replace my worn originals. transmission saw a similar build too. ive started to put together a 3 ring binder to document everything ive done with the car to date, and of course going forward. having a perfectionist working on it has been expensive, but totally worth it. well its time to play my favorite game: guess what broke? honestly, no clue at the moment. all i know is i went to grab second gear and bang. thinking its an axle. didnt see anything in my brief assesment at 4am on the streets of boston, but thats my (un)educated guess. managed to push it down the block to reach whats considered my neighborhood and found street parking. my handpowered parallel parking skills are very impressive might i say. AAA called. off to eurotech with it once again. Let's hope it's nothing major! Man that stinks, I am sure they will get it sorted out for you quickly. Last edited by SuperUser; 04-06-2014 at 03:27 PM. Already spoke to eurotech. Looks like new rear axles for me. 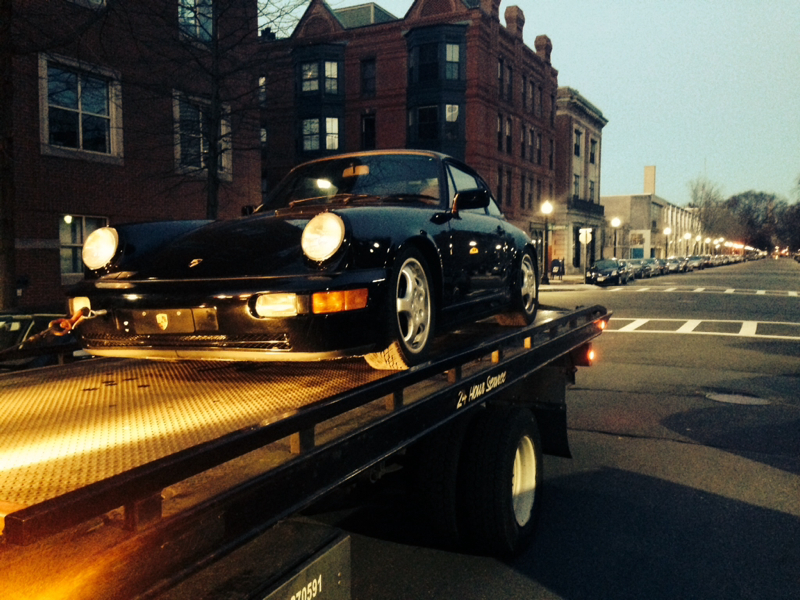 4am literally blocks from home, aaa showed up at 545. Last edited by Jjm4life; 04-07-2014 at 06:42 PM. Got a rendering for the wheels and potential vinyl.. Gonna keep that quiet for now, but it involves mexico blue and ruby stone in the color scheme. What was the point of failure on the axle? Pretty interesting considering these cars aren't exactly high power and you're on the street with street tires in a coldish climate (i.e. cold rubber = less grip). Cv on the drivers side failed in glorious fashion. High 30 degree temps still on winter tires. Brand new motor with a few goodies but nothing too crazy. my luck continues haha. after a few weeks with everything going well, one of my neighbors decided ive been with my car too long. she nicked my rear bumper, cracking the bumper cap on the passenger side. in typical me fashion, i took the time to get some clear corner markers and fog light air ducts while its in the body shop. wheels should be done in a week or so finally.. but im not holding my breath. another rendering of what the final product might look like. 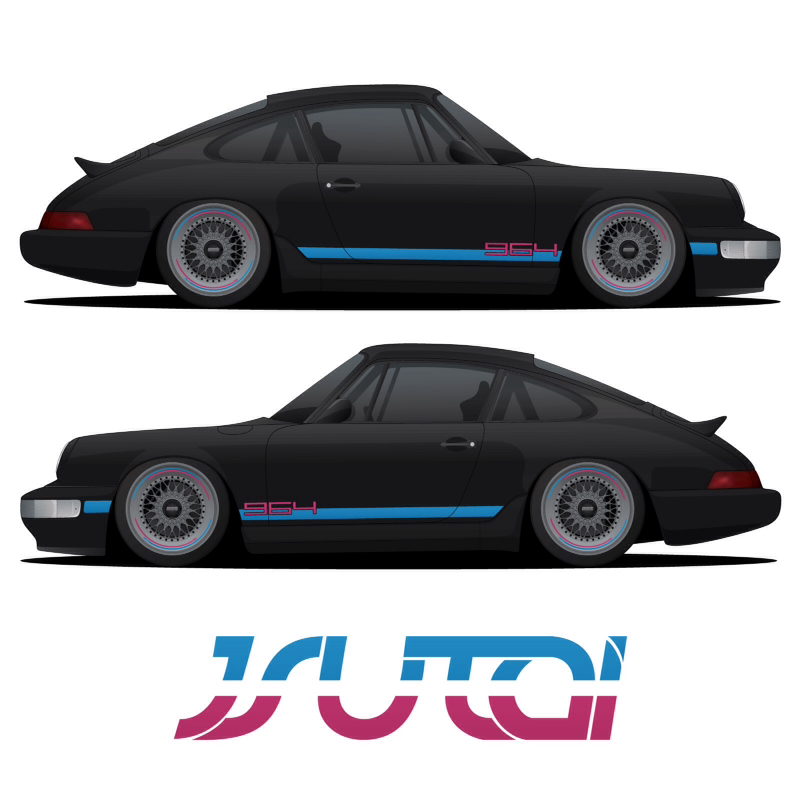 Oh, you're the 964 JSutai is doing. Perhaps we shall see each other at one of the C&C in CT.